UPDATE October 4, 2010: 60D now shipping! Surprisingly, the Canon 60D is already in stock and shipping from Amazon.com – quite a bit earlier than expected! If history tells us any lesson, it might sell out soon as the T2i initially sold out after only 2 days, and it took them months before retailers had any significant supply of the camera again. 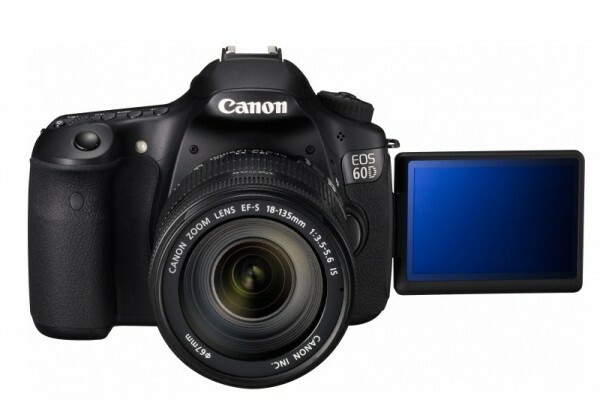 As most of you might have heard by now, Canon has announced the EOS 60D, the successor to – you guessed it – its 50D model. At $1.100 body-only, it’s positioned between the entry-level T2i/550D and the 7D and picks the “best of both worlds” regarding its features. Like all new Canon DSLR models, it shoots beautiful 1080p video, and it is to be expected that it is the exact same quality that the 7D and the T2i/550D deliver. The CMOS sensor has the same size and resolution (APS-C with 18 MP) – I in fact think it’s the exact same sensor as in those two, because I doubt that Canon would expensively develop a new sensor for one model alone (why should they). 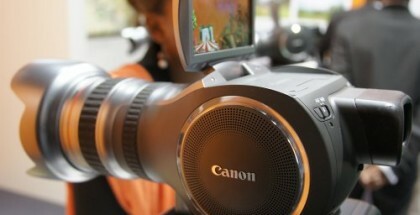 Now we finally have a Canon DSLR that has an articulated screen, which might be much more significant than you think. Ever since I started shooting with Canon DSLRs, I have missed a way to quickly get those low- and high-angle shots that I need. With the 60D, this just became a whole lot easier. The second feature that is a real improvement over the other lower-priced DSLR models is the possibility to disable automatic gain control for audio. Now you can set your levels just like on a 5D Mark II. There is absolutely no reason why Canon doesn’t introduce this feature with a firmware update to all their other video DSLRs, other than marketing. Come on, Canon! 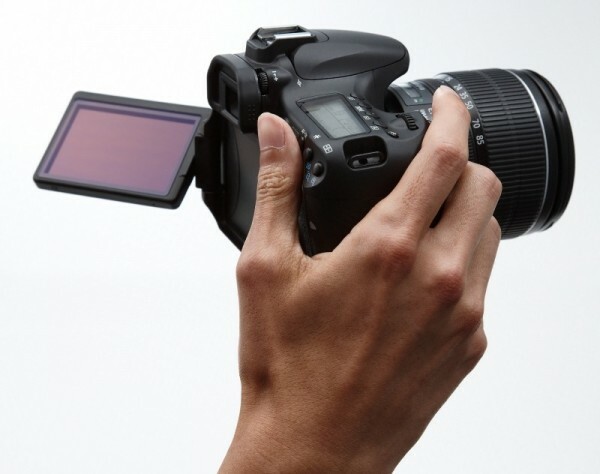 Give us automatic gain control on your other DSLRs as well – it’s essential if you want to use the mic-in port with something like a Rode VideoMic (which is, by the way, quite good for what it costs). As DPreview reports, it isn’t a “real successor” to the 50D as they changed several things about the camera body. They repositioned the entire model as its body is now “less professional” as before: It used to be made of metal, now it’s plastic (though better than the T2i/550D), and it became slightly smaller altogether. Every DSLR video shooter who doesn’t like the sometimes flimsy handling of the T2i/550D, but doesn’t want to spend twice as much money for the 7D, which delivers the same image quality, has just gotten one more option. The 60D’s articulated screen and the manual gain control are improvements even over the more expensive 7D, while the 7D is still the one of the most robust DSLRs with its magnesium alloy body and weather-proofing. The Canon EOS 60D is already available for pre-order at Amazon.com. The T2i/550D sold out very quickly and they are still in short supply – so I hope they learned from their past mistakes and produce more of those puppies! 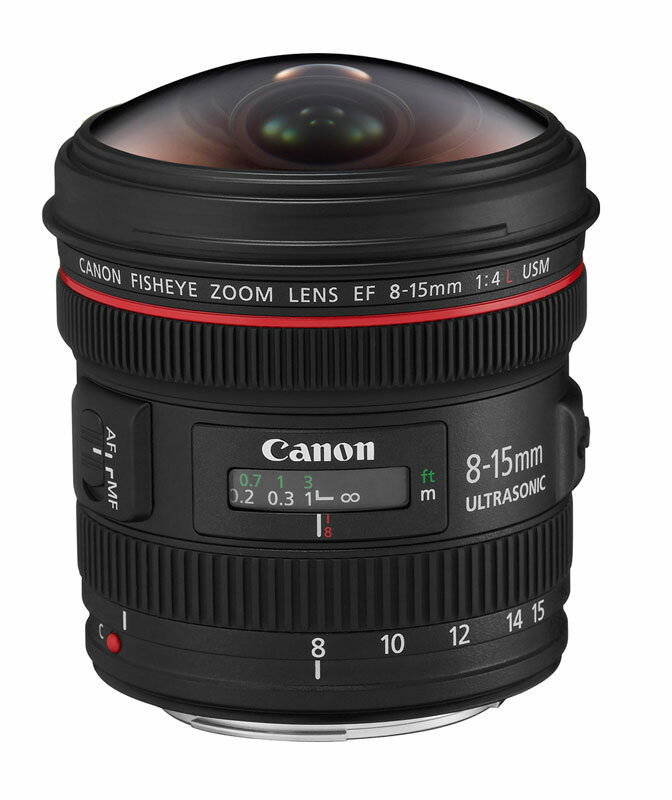 Little attention has been given to Canon’s introduction of series of new EF lenses (L series – the best they make). With the EF 70-300mm f/4-5.6L IS, the EF 300mm f/2.8L IS II and the very interesting EF 8-15mm f/4L Fisheye these introductions are at the very wide and long ends of the lens spectrum, respectively. Can’t wait to get a chance to try these. Head over to Rob Galbraith’s blog for a detailed rundown of these lenses and more. Cool thanks for the info. Geez that lens looks great! I agree. It’s a funny thing that Canon’s first video-capable DSLR, the 5D Mark II, still delivers the most eye-pleasing images. However, it shows that the 5Dmk2 is aging fast – its LCD isn’t sharp enough to thoroughly judge focus, and the button layout is not good for video shooting. The 5D Mark III will be something a lot of people are waiting for, and hopefully they will put in a processor fast enough to bin the images (instead of line-skipping), eliminating the most annoying aliasing issues of the camera. I am currently working on a project where we shot on a Red One and the 5Dmk2 and they go together very nicely. Despite its age, it’s still the greatest video DSLR out there. I agree, it’s the best you can do! 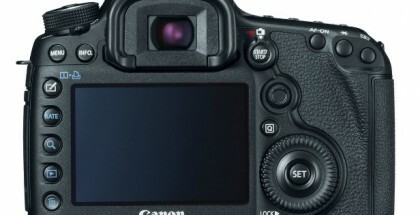 Canon has to give the 7D/550D a firmware update now for manuel gain control! Also to lure people away from Magic Latern, which is now also available on the 550D. I don’t think that they like they’re camera’s being hacked mainly for the AGC disable which they can easily solve themselves, especially now that a consumer camera has it, not just the higher classed 5DMKII. What has dissapointed me is the UK pricing. $1400 apparently translates to £1400 for the 18-135 kit. Outrageous! This is indeed outrageous. The suggested retail price in € isn’t any better: body-only for €1.149, that currently equals $1.460. However, don’t forget that US prices don’t include VAT, European prices always do! For this price point the 60D is not gonna to sell good in € land… The 60D is going for €1150, I can get a 7D for as low as €1210… I’d rather pay the extra €60 and get the 7D! Well don’t get fooled by the suggested retail price. I can imagine it sells for below €1.000 once it’s available, who knows! The suggested retail price for the 7D is €1.649, and as you said, you can get it more than €400 cheaper now! I am still anxious to know about K-Temp WB. Did I miss it from the spec? hm… swivel LCD is number one reason, and no AGC would be big 2nd reason to get this one.. you wanna race who gets this first? You beat me to 550D T2i last time by hair, LOL! Thanks for great insight, Nino! I have no idea – forgot to ask my buddy who used the 60D at the Canon press conference today to look at that. 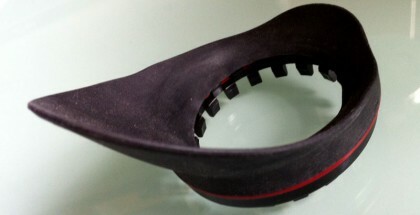 But I think they might have improved on that, I guess it will work the same way as on the 7D. Great article. I got more specifics on the updated specs and features here than a host of photography forums. I’m looking forward to testing it out when stores get the demos. No, I just didn’t mention them because they are out of reach for most of us. Have you looked at the prices. I also left out the new extenders, which are quite useful with certain lenses for very long shots. I can’t see how the articulated screen ends up being an advantage when shooting video. Sure, you can see the SCREEN on low/high angle shots, but can you see the quality of FOCUS? Even if there is a different “sticky” frame coming out from the Zacuto folks that will allow Z-finder to attach, I still think it will be difficult for something like a Z-finder to attach to the angled frame w/out the frame moving due to the weight some Z-finder. In the end game it would seem as though we gain flexibility as the expense of sharp focus, no? Is there something I’m missing or not thinking through rightly?? Come on, you can’t talk that into a disadvantage! This is ridiculous. Of course it is better to be able to look at the screen from different angles. It is rather pointless to attach a viewfinder onto the camera if, say, you are viewing the image from a low angle, because you will not be able to get your head right down on the ground. And it’s not necessary, you can judge focus first and then get the exact framing. Also, most viewfinders are certainly not too heavy for that articulated screen (ignoring the fact that the main position a viewfinder makes sense at is the “standard” position of the LCD right behind the camera, same position as on all other cameras). YIKES! I was just throwing my first impression out there about the screen, I wasn’t trying to make a an argument that I was right (hence me asking the question at the end). If I’m at an awkward angle I usually have a monitor attached. I guess that I’ve also seen how much my focus improved (especially when shooting wide open) when I got a z-finder. I shot an impromptu shoot of my friend getting engaged last weekend where I just happened to have my 7D but didn’t have Z-finder. I thought I was getting good focus but I was shooting at 1.4 and missed just enough to where it’s driving me nuts! As far as what I was thinking as it came to the weight, I shot some stills with my friend’s Nikon the other day and his screen would not have been able to hold my Z-finder. Now, it’s VERY possible that his screen is looser than most, but again, that was just my first thought this morning. I’m not saying that the screen is a bad thing, I just was having a hard time seeing how the whole thing would work together. BTW, thanks for keeping up the blog. Also enjoy reading your thoughts! We shall see! It’s true many viewfinders will be too heavy. Canon should finally start ditching that mirror, it’s not good for anything if you’re shooting video. Then we could use the “real” viewfinder as a viewfinder. 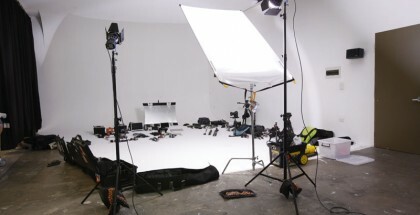 This is one area where Sony shows them how it’s done, with their new A33 and A55. The interesting thing about the whole view finder thing is a lot of these companies are opting to mount these to the camera via tripod mount which obviously isn’t going to work for this articulating screen. In saying that, it won’t be long before zacuto, and redrock micro and letus develop something for this camera. Canon needs to leave these camera’s alone and develop a camera specifically for folks like you and I who use these cameras for video purposes. It seems like the smart move on their part. I agree, most problems of these cameras (like aliasing) derive simply from the fact that they are still cameras too. It would be even cheaper to develop an imager with 1.920×1.080 resolution at the same size. Yes, they will find a way, and I still think using a sticky frame mount (like the old Z-Finder) is the most convenient way to go. It should be easy to develop such a mount for this camera. Throw a top-handle on this bad-boy and run with it … can you say dog-cam or cat-cam-haha. It’ll be interesting to see what Nikon’s D7000 will be like, as they’ll definitely up the ante in terms of video performance to keep up with Canon. I’m really hoping for 50/60fps but I’m not too optimistic at the same time. 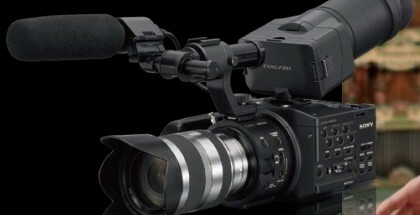 Would you recommend this over the 550D for someone starting out on HDSLR film making? I would assume yes.. 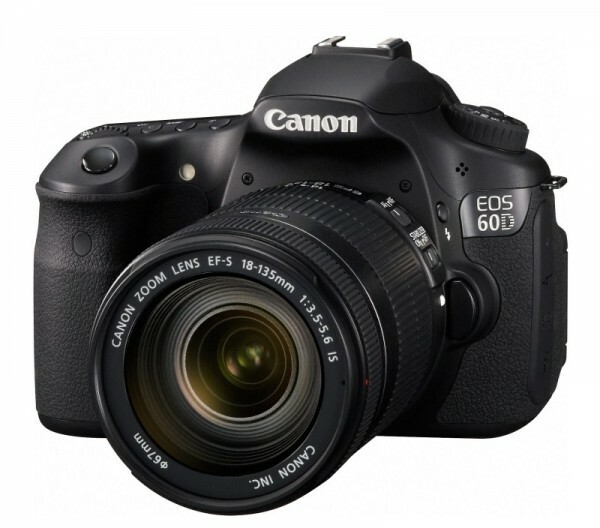 If you can afford it, definitely get the 60D over the T2i! Which one is better for video: the 60D or the D7000? Looks like the 60D is still the winner, although the D7000 is clearly the better camera for stills..
How likely are firmware upgrades to the D7000 à la 5Dii to include 25/50/60p video? Pretty slim eh? I think I’ll get it anyway..the 60D seems quite underwhelming in comparison and 1080p/24 seems like it would look really nice anyway..no? 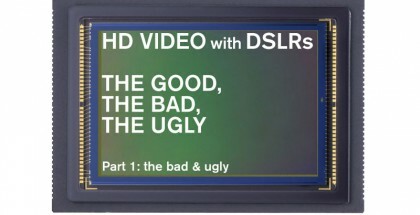 The 60D will have 1080p/24fps too … why do you find it underwhelming? Canon is a bit cheaper, but doesn’t have a magnesium alloy body … the Nikon just might perform better in low-light, as does the D3S. So Nino, if money was not the main problem, what would you buy, Canon 7D or Canon 60D? What are the advantages in each of them, in your opinion? Will have to try the 60D myself before being able to answer that question! I accidentally burned my 550D LCD screen by letting the low-sun shine through a viewfinder, which Canon replaced, along with my EF-S 18-135. So now I have a brand new T2i/550D in the box. I really want the swivel-screen on the 60D, but I’m not sure if the camera is actually as good as the T2i. In your opinion is it a step in a better direction? It is definitely a higher end model, but it’s also more expensive! 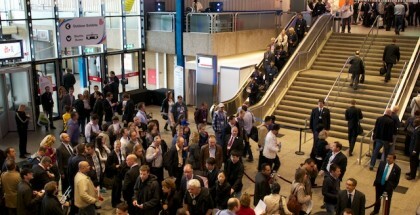 Picture will be the same though. Well, I finally got my sweaty paws on a 60D and I’m very impressed! The camera gets a pretty unjustified bashing on the web and I think it’s undeserved. For me it’s the way to go, love it! Hay Nino. i’m a huge fan of 60D and i’m also working on it. this is my Short movies and test reviews on Canon 60D. Hope you guys can enjoy them and cheers . .
Good info there, thanks. What about the HDMI output? Is it full HD like with 7D? Is it clean? If yes I will seriously consider this model for video. I just got my canon 60D and I want to buy a good but cheap lens since I am a student and I can’t afford an expensive one. I want a good lens which takes clear pictures, portraits etc. My limit is 400/450 dollars. Check out my blog post about basic lenses: http://ninofilm.net/blog//2010/03/01/pimp-t2i-550d-part1/ There are a lot of recommended ones. I would suggest you buy the Sigma 30mm f/1.4 as a first lens, it’s within your budget range and a great standard lens on a 60D. I agree with Nino. The Sigma 30/1.4 is fantastic. An alternative would be the Tamron 17-50/2.8..you sacrifice two stops of speed but get a bit of zoom range…however, that gorgeous DoF is so much easier to achieve with apertures wider than 2.8. I’ve had the 30/1.4 as my only lens on the 60D for about 6 months now and it’s been great. I’m pretty eager to buy my first camera, but can’t decide on which one to get – and (all though it’s and older blog) this seams like a good place to ask. – and does any of them have better sound? Any thoughts about which one to get and which lens(es) is good for all around filmning (shoots fictions, so I need a bit of a range)? Hi Denise, tough decision – both cameras aren’t perfect and sound is difficult on both. You should record externally for professional sound. The 5Dmk2 is a great camera, but it is due to be replaced very soon, although no replacement was announced yet (but it’s 3 years old now). The 60D might be around a little longer. If you have a little time, I’d wait until spring, I think a new bunch of Canon DSLRs will come out that will have less problems with moiré patterns and so on.